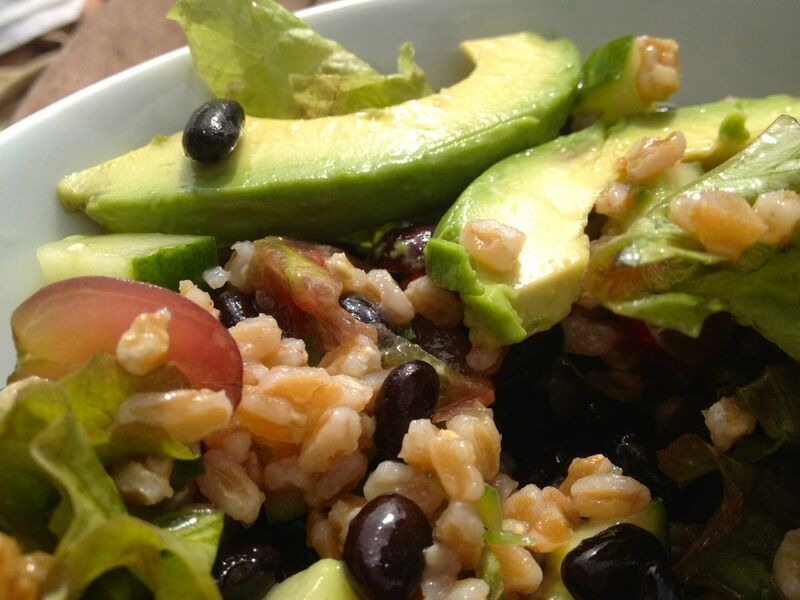 Farro is a delicious grain that I recently started cooking on a regular basis. It is an ancient Mediterranean grain that grows especially in northern and central Italy. It is said to be lower yielding and harder to grow than other grains, so following the fall of the Roman Empire, it was replaced with higher yielding grains, and was only sparsely grown in Italy. However, it seems to have grown in popularity and is now readily available in health food and some grocery stores. I bought my at Morning Glory Farm in Edgartown, where it comes in a bag as “pearled farro”. 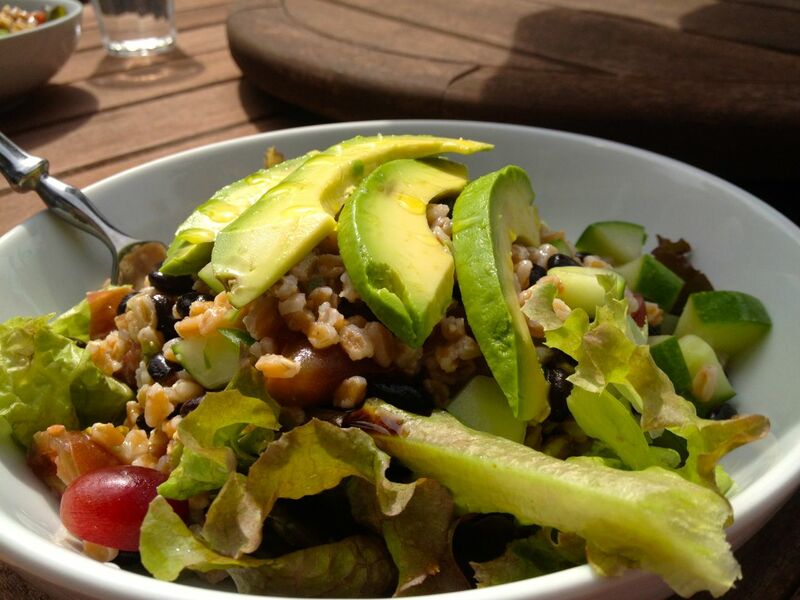 While Quinoa has been quite the rage as a low gluten, healthier alternative to rice or pasta, I prefer Farro. It has a heartier texture that mixes well with other veggies, proteins, and dressings, and some extra moisture will not turn it to mush, even after sitting in the fridge over night dressed in oil and vinegar. It is forgiving in terms of cook time, and if it boils for a little extra time, it does not lose its firmness, unlike quinoa. 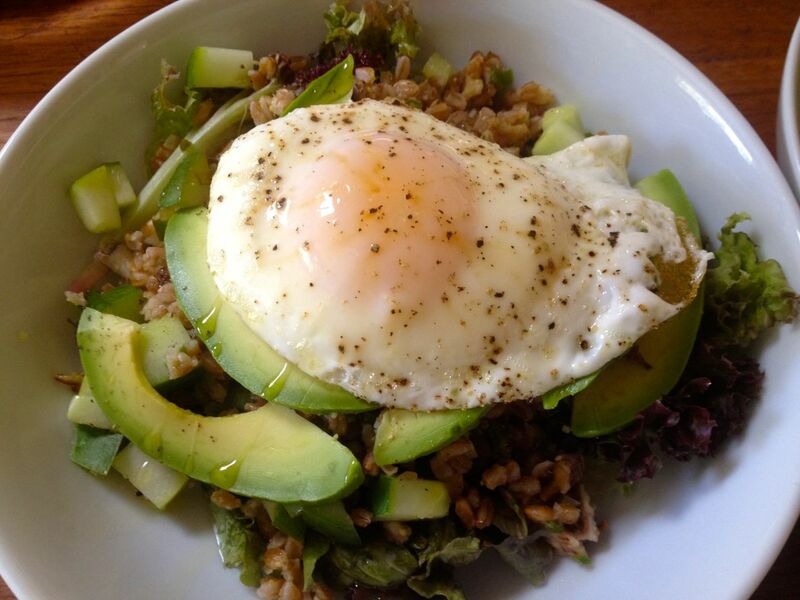 The grains are much larger than quinoa, making it a great grain to mix with larger chunks of veggies, or nice for absorbing the yolk of a runny egg. 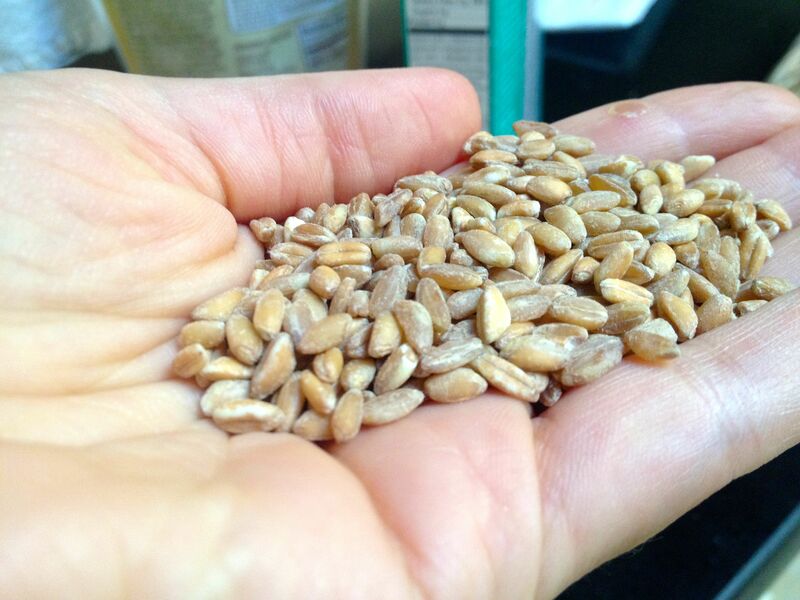 They are similar in size to wheat berries or spelt. One quarter cup of dry faro has seven grams of protein and five grams of fiber, and it is said to be rich in magnesium, and vitamins A, B, C and E, as well. I’d love to know more about the nutritional variations of different grains, like rice, quinoa, farro, buckwheat and wheat berries, as far as gluten, vitamins and minerals are concerned. Does anyone have more info? Because a portion of the outer bran is removed from farro when it is pearled, it only takes about twenty minutes to cook as opposed to about two hours. Un-prearled farro should be soaked overnight in water, like beans. I am not sure how much nutrition is removed in the pearling process–something else I would like to learn. I don’t measure the cooking water, but just make sure to cover the farro by a few inches. I don’t measure the salt either, but i ate a couple large pinches at a time, tasting the water as I go. I like the salinity of the water to be the desired taste of the grain once it’s cooked. I’ve been cooking big batches of it, and mixing it with beans, greens, cucumbers, tomatoes, herbs, different dressing, and even plopping a runny egg on top for my own version of a bibimbop! If you have this grain on hand, there are so many things you can do with it. The other night I threw it into a simple soup I made with onions, ginger, jalapeño, and stock as the base, farro and an egg. It was a kind of nourishing egg drop soup that was easy, tasty and light. I love this post, Gaby! Can’t wait to try it. Your soup look delicious and I love all of the options you gave to cook with farro. Thanks Hal! 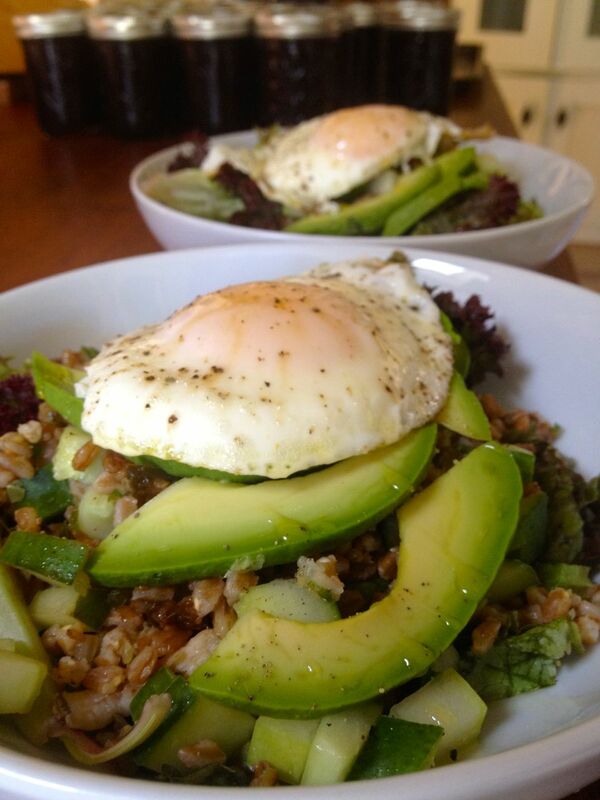 The two dishes I photographed use the Farro in slightly different ways. The one without the egg is more of a salad and I made a dressing from sherry vinegar, garlic, tahini and oil. The one with the egg on top was a lunch I made for my dad and myself, and, I sautéed some shallot, ginger, and jalapeño (I had the peppers in our garden), and then mixed in the farro after it was cooked. It gave it a nice bite for sure. Plus, ginger always makes me feel healthy. I think it’s good to add some spice to food every once in a while! I’m going to try this! It’s so interesting to explore ancient grains.